Prices for the MINI Cooper S E Countryman ALL4 hybrid will start at £31,585 OTR (excluding the government plug-in car grant). Available to order from today, the MINI brand’s first plug-in hybrid model will hit British roads later this year, offering the option of purely electric driving with zero tailpipe emissions. The new hybrid MINI is powered by a 3-cylinder petrol engine with MINI TwinPower Turbo Technology and a synchronous electric motor. Together they generate a system output of 165 kW/224 hp enabling the car to sprint from 0-62mph in 6.8 seconds. The power of the combustion engine is transmitted to the front wheels via a 6-speed Steptronic transmission, while the electric motor powers the rear wheels. An ‘intelligently controlled’ interaction between the two power units creates the all-wheel drive system that ‘optimises agility and stability’. When setting off, only the electric motor is initially active resulting in a virtually noiseless start. Once a driving speed of 50mph is reached, the combustion engine is activated. 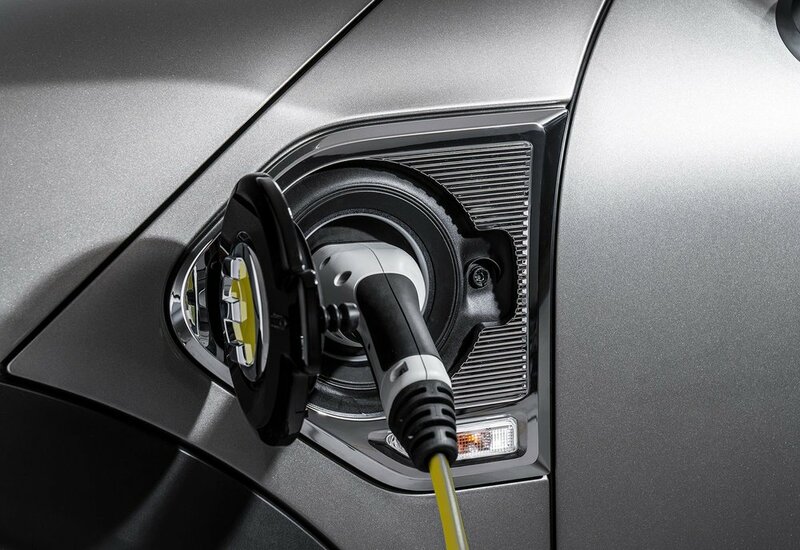 The eDRIVE toggle switch enables the driver to continue to drive with only the electric engine beyond this point if preferred: in MAX eDRIVE mode the hybrid runs at up to 78mph free of emissions. The all-electric range is 25 miles. 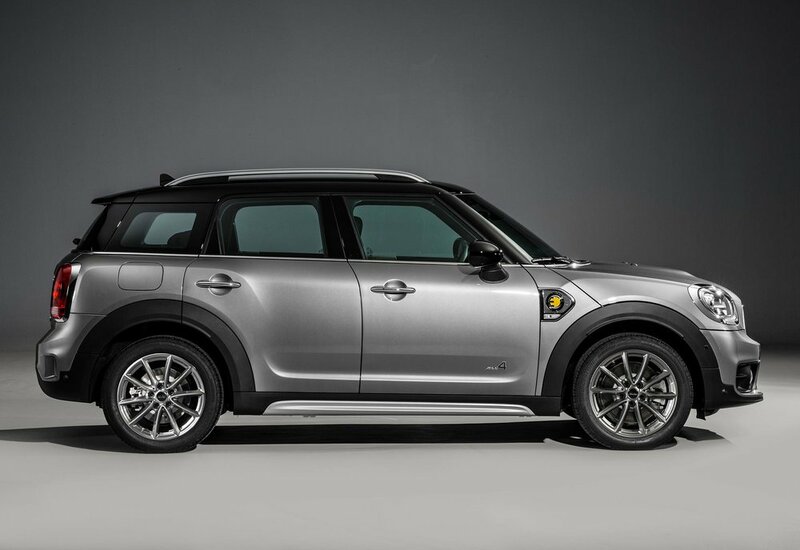 The MINI Cooper S E Countryman ALL4 combines its progressive drive system with the versatile space concept and brand style of the latest MINI model range. The battery is housed underneath the rear seat and flat load boot floor, minimising drawbacks to boot space and leg room. The luggage compartment volume of the hybrid model is 405 litres, which can be extended up to 1,275 litres with the rear backrests folded down. 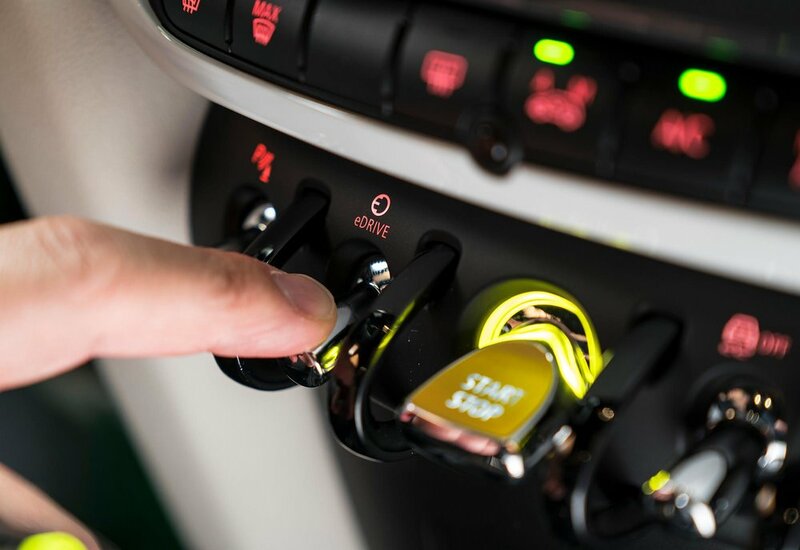 Standard equipment includes the MINI’s Satellite Navigation System, Bluetooth, Cruise Control, Emergency E-call and Active Guard among other features. 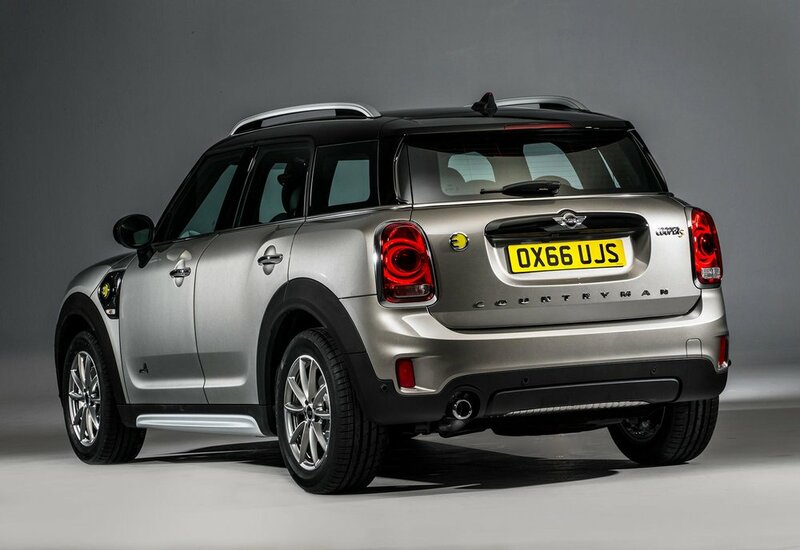 Hybrid-specific displays and the eDRIVE toggle switch indicate the 'distinctive character' of the MINI Cooper S E Countryman ALL4. 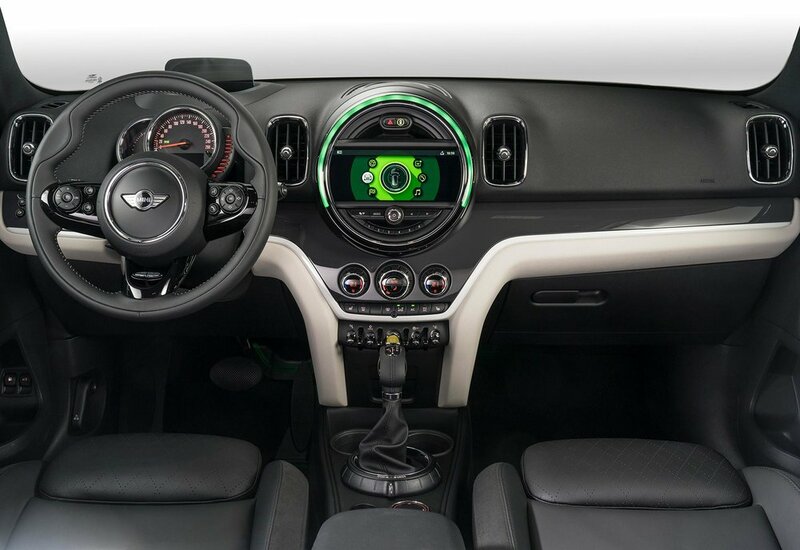 The 6-speed Steptronic automatic transmission, the MINI Driving Modes and three spoke sports steering wheel are also offered as standard. In addition to model-specific design elements such as the “E” emblem on the radiator grille and side scuttles as well as door sill finishers with a yellow “S” logo, the 17-inch light alloy wheels in Light Spoke design are another feature exclusive to the hybrid. The high-voltage battery comes with a warranty which lasts for six years or 60,000 miles. 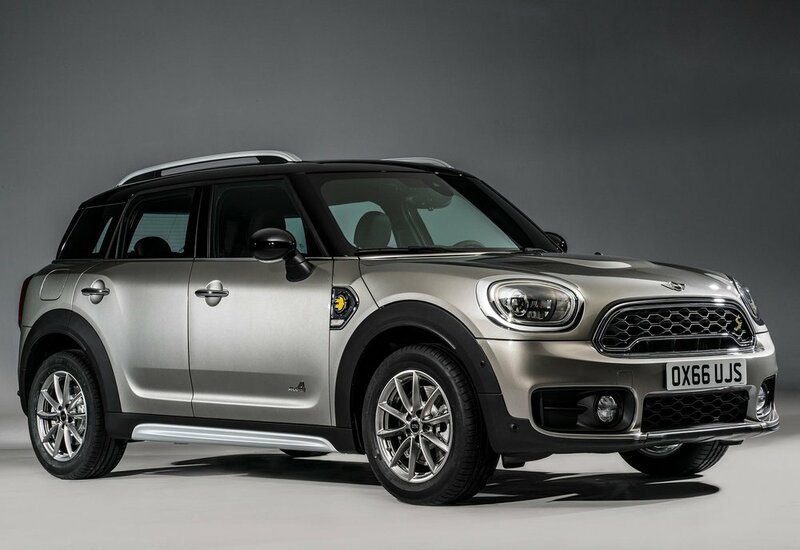 The new MINI Cooper S E Countryman ALL4 hybrid will launch in the UK on 24th June 2017.